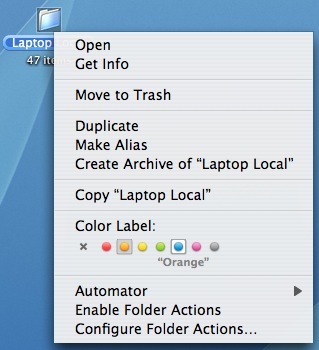 You can use color labels to quickly identify the most important folders on your computer. To assign a color label to a folder, you can control-click on it (or right-click if you have a two-button mouse) to bring up a context menu. 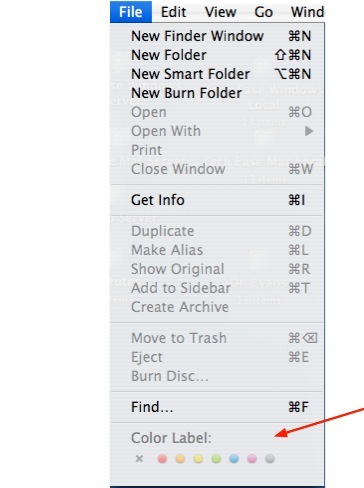 You can then assign a color label to that folder by selecting a color in the context menu. Another way to assign a color label while you are in a Finder window is by selecting File and choosing the color you want to use from the list at the bottom of the File menu.